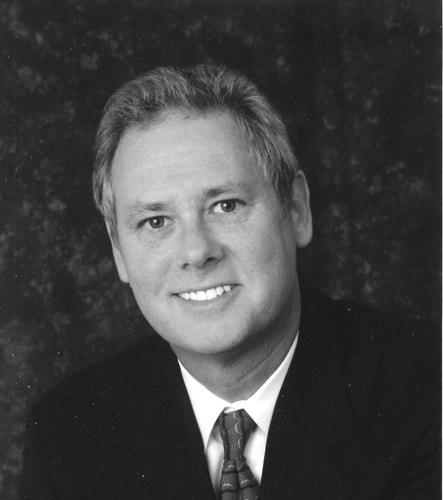 Greg Victoroff is the founding partner of the Los Angeles law firm of Greg Victoroff & Associates. Since 1979 Mr. Victoroff has handled intellectual property and business litigation matters, trials and appeals in state and federal courts, copyright, trademark, and intellectual property contracts and insurance issues in the film, fine art, and music industries. Since 1988 he has been an arbitrator and mediator resolving complex entertainment and IP disputes. He has received a Martindale-Hubbell rating of “AV Preeminent,” the highest possible rating in both legal ability and ethical standards. He was named 2014, 2013 Top Rated Lawyer in Intellectual Property by American Lawyer Media. Mr. Victoroff has served as an expert witness in trademark, copyright and idea theft cases and is certified by the State Bar of California as an MCLE provider. He frequently lectures on intellectual property law matters for Bar Associations, law schools, art and music schools across the country, including UCLA’s Anderson School of Business, Yale Entertainment and Sports Law Association, American Bar Association, American Law Institute, State Bar of California, American Association of Museums, The Art Institute of California – Hollywood, The University of The Arts, Honolulu Academy of Art Center, Claremont College, California Institute of the Arts, Hollywood Film Festival, Otis/Parsons College of Art and of Design, California State Northridge, Art Center College of Design, Ringling School of Art and Design, Chaffee College, College of the Desert, Screen Actors Guild, The Graphic Artist’s Guild, The Center for Cultural Innovation, Los Angeles International Contemporary Art Fair and Art Expo New York. Mr. Victoroff has served as a legal consultant to documentary films including “I Ain’t In It For My Health”, about Levon Helm, former vocalist and drummer for The Band, “Bombing LA”, about Los Angeles graffiti, “Kamikaze Hearts”, about the San Francisco and Los Angeles adult movie business, and NBC’s “Midnight Caller”. In addition to authoring numerous articles on copyright and entertainment law, he is the editor and co-author of “The Visual Artists Business and Legal Guide” (Prentice Hall 1995) and a contributor to “Art and Museum Law” (Carolina Academic Press 2002), “The Musicians Business and Legal Guide” (Prentice Hall 2001), “How To Make and Sell Your Own Recording” (Prentice Hall 1999), “A Music Business Primer” (Prentice Hall 2003) ,“Entertainment Publishing and the Arts Handbook” (Clark Boardman 1990) and the “Handbook of Pricing and Ethical Guidelines” (GAG 2001-2010)and Hastings Communications and Entertainment Law Journal. His entertainment law interviews have appeared in USA Today, Los Angeles Times, Los Angeles Daily Journal, Art and Business News, Long Beach Press-Telegram, People, Los Angeles Lawyer and Keyboard Player magazine. Mr. Victoroff is the past President of the Beverly Hills Bar Association Barristers and a founding member of its Committee for the Arts. For his pro bono volunteer legal services Greg has received awards from the American Bar Association, the Beverly Hills Bar Association, the Boy Scouts of America, the Urban League and former Los Angeles Mayor Tom Bradley. In 2008 he received the first Artistic License Award presented to an individual attorney from California Lawyers for the Arts. Mr. Victoroff received a B.A. in Theatre and teaching credential from Beloit College in 1976 and received his J.D. degree from Cleveland-Marshall College of Law in 1979. In 1978 he transferred from Cleveland-Marshall College of Law to the UCLA School of Law to study copyright and entertainment law with the late Melville Nimmer and art law with Monroe Price. As a musician Mr. Victoroff has backed artists such as Santana, Huey Lewis and the News, Bobby McFerrin, Journey, Jefferson Starship and Graham Nash, Ernie Watts and Barbie Benton. He currently performs with the Los Angeles Lawyers Philharmonic Orchestra and his own jazz ensemble.